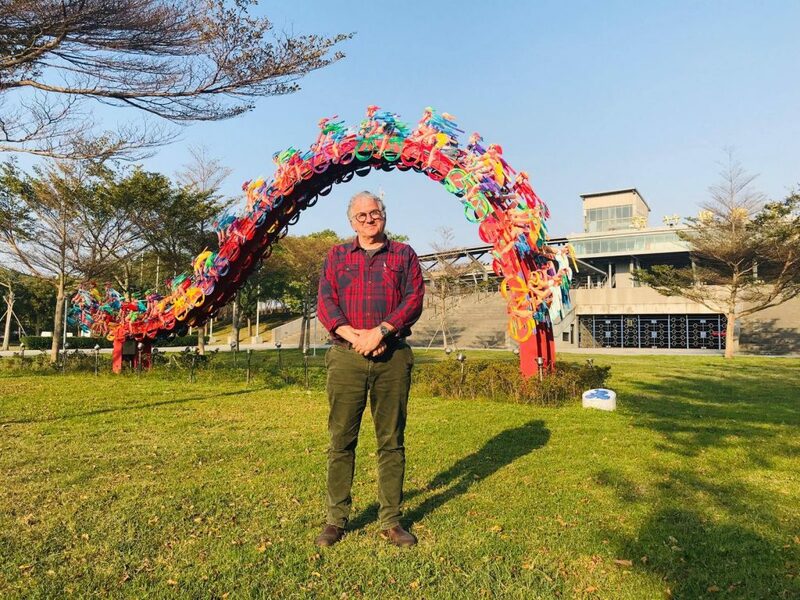 David Gerstein recently visited Taiwan, where he was commissioned to erect quite a few outdoor sculptures. 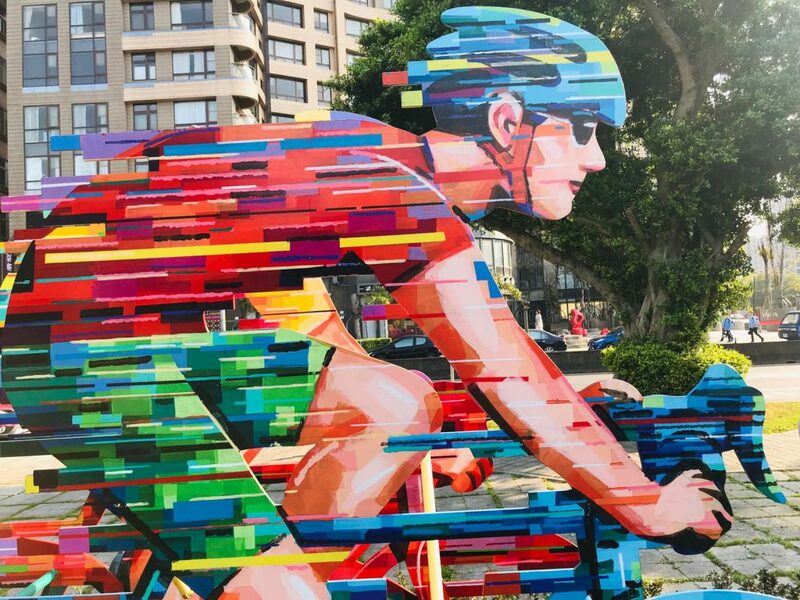 The most significant being 'Peloton outdoor sculptures' outside the sports stadium in Hsinchu, Taiwan. 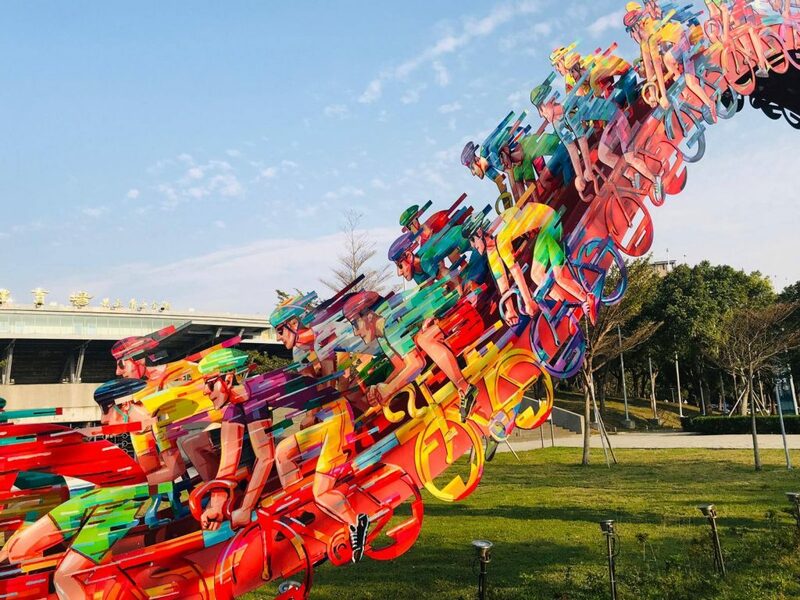 David created quite a few large scale outdoor sculptures featuring cyclists and runners, fully colored double sided, hand painted by Gerstein. 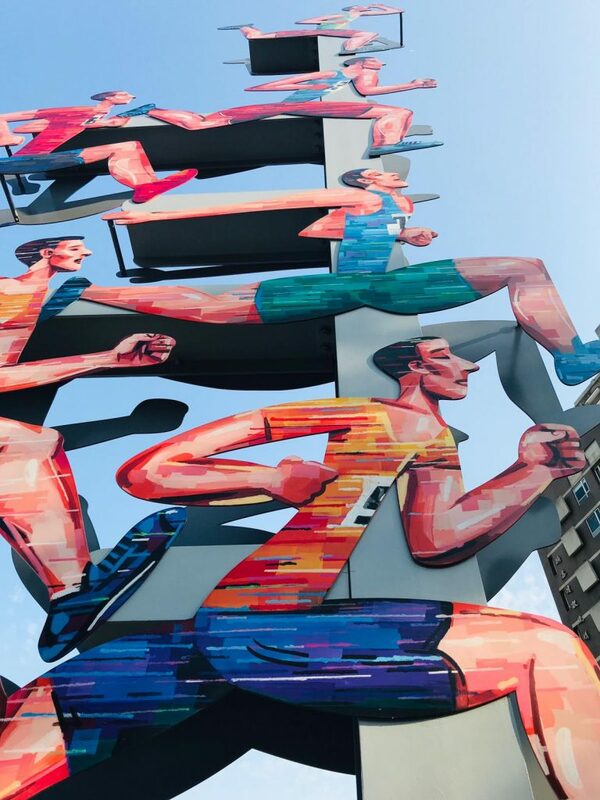 Following his Momentum sculpture, erected in Singapore in 2008, which is one of Gerstein's largest creations (18 meter tall), he began working on outdoor sculptures, mainly in Asia. More works can be seen in China, Taiwan, Thailand and South Korea to name a few.